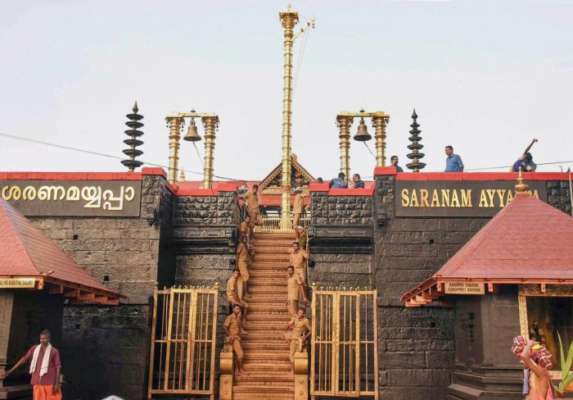 CPI(M) on Tuesday demanded action against Prime Minister Narendra Modi for raking up Sabarimala issue despite Election Commission&apos;s direction to refrain from it, saying the atmosphere is "being vitiated" in the campaign by "importing polarising issues". Party Polit Bureau member Nilotpal Basu wrote to Chief Election Commissioner Sunil Arora saying there was an instance of "flagrant violation" of the Model Code of Conduct (MCC) by Modi. "To contextualize we had pointed out at the very outset, that the atmosphere is being vitiated in the election campaign by importing polarizing issues. Modi&apos;s statements in election rallies in Ramanathapuram in Theni in Tamilnadu and Bangalore in Karnataka on April 13 are emphatic pointers to this trend," he wrote. Basu referred to Modi&apos;s speech in Theni where he accused the Left and the Muslim League of playing a "dangerous game" on Sabarimala and initiating "to strike at the root of faith". Modi had then said, "as long as there is BJP none can destroy our faith." "This is a clear example as to how Narendra Modi is not only violating MCC but also implicitly challenging the order of the Election Commission to refrain from using Sabarimala temple and Lord Ayyappa in the election campaign," Basu said. He said the LDF government in Kerala has, time and again, reiterated that it does not stand against faith but was confining itself to implementing the Supreme Court order. "Bringing in the question of faith and accusing the LDF government in Kerala, the Prime Minister was trying to appeal to the people belonging to the &apos;faith&apos; and which is clearly against MCC, as well as, your specific order. In these days of media and the internet, the restriction of the geographical boundary does not hold," he said. The CPI(M) letter said that the Supreme Court has reminded the EC about the adequate powers which "need to be proactively exercised to ensure restraint on the polarising thrust of BJP&apos;s campaign". "Since, the Election Commission of India itself is an independent Constitutional authority and the Supreme Court order was in the spirit of the Constitutional order, charging the communists and the LDF government for implementing the apex court order amounts to, not just vitiating the atmosphere but undermining the Constitutional order which defines the limits of the election campaign," the letter said.